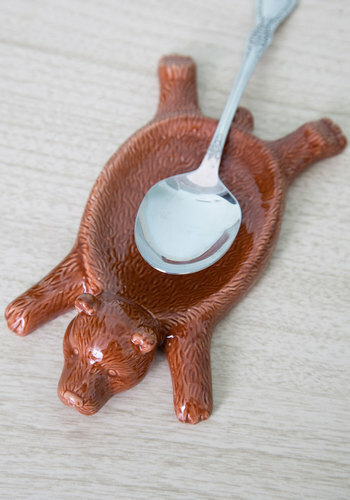 If you’re using tea bags, or a separate infuser, or even a tea spoon to stir your tea, you’re going to need a place to rest your favorite implement. I also found a variety of cute plates on my very favorite crafty site, Etsy. 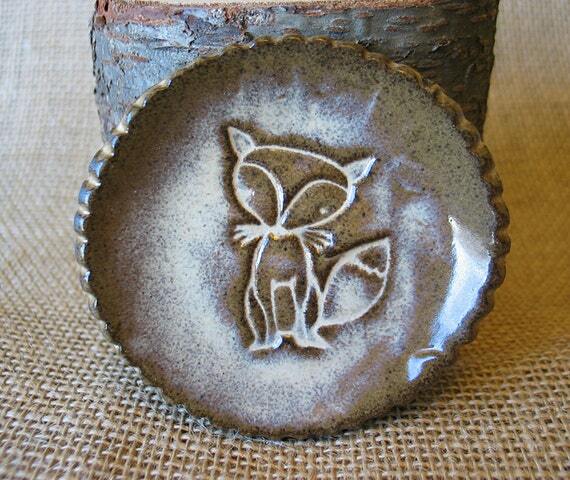 How about this adorable Fox Plate from DragonflyArts ? Or would you prefer Owls from Plain Jane Pottery? Something a little more modern perhaps? 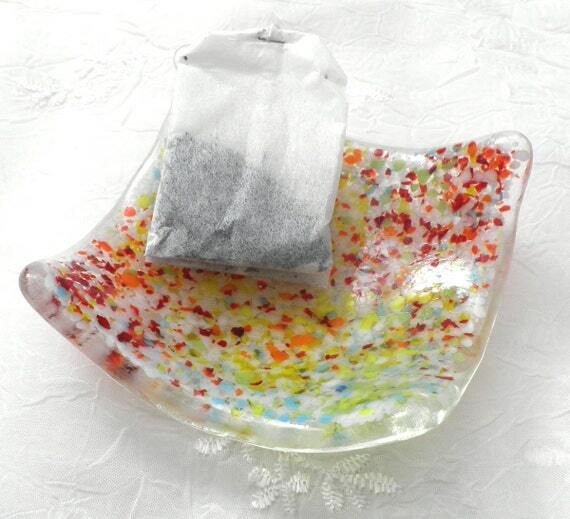 Like this Fused Glass plate from Casey McPottery.